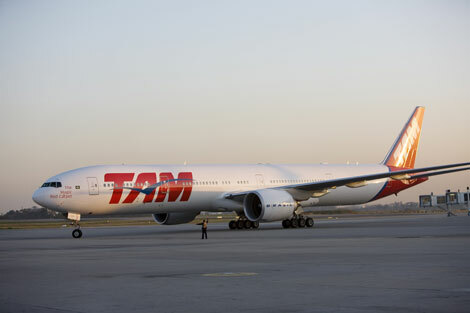 TAM Airlines, the leading Brazilian carrier, joined the Star Alliance Thursday, adding more than 43 destinations in Brazil and 10 airports across South America. TAM has high hopes for the UK market. As first reported in Business Traveller in Februrary (here), it now has one of its new B777-300ER on the London – Sao Paulo route flying daily from London Heathrow Terminal 1, and hopes to secure slots for a further London Heathrow flight to Rio from August/September, using a three-class A330. This flight is likely to be four times weekly, with the remaining days of the week being reserved for a Rio – Frankfurt flight. Brazil is the host nation not only for the 2014 World Cup but also the 2016 Olympics, and so will be looking to London for its 2012 Olympics and involvement in the closing ceremony. As a result of Star Alliance membership, members of TAM’s frequent flyer programme Fidelidade which has over 6.5 million members can now collect and redeem points when travelling on all other Star Alliance member carriers and participants in the other member carriers’ Frequent Flyer Programmes (FFP) earn points every time they fly TAM and can redeem points on the TAM network. With TAM now a member the number of designated Gold Lounges across the network has grown to over 990. 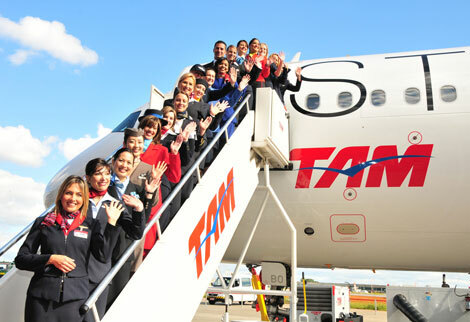 TAM had a 42 per cent market share of the Brazilian market at the end of April and flies to 43 destinations in Brazil. The inauguration of TAM into Star means it is once again the only one of the three main alliances to count a Brazilian carrier among its members. Varig was previously a member of the Star Alliance until 2007, when it was ejected following bankruptcy proceedings. Mexican carrier AeroMexico is a member of Skyteam, while Oneworld counts Mexicana and Chilean airline LAN among its members. TAM’s international flights include direct flights to 18 destinations including New York, Miami and Orlando, Paris, London, Milan, Frankfurt, Madrid, Buenos Aires (Argentina), La Paz, Cochabamba and Santa Cruz de la Sierra (Bolivia), Santiago (Chile), Asuncion and Ciudad del Este (Paraguay), Montevideo (Uruguay), Caracas (Venezuela) and Lima (Peru). TAM is the second airline to join Star in the last six months, with Belgian carrier Brussels Airlines having been inaugurated in December last year (see online news December 11, 2009). Greek carrier Aegean Airlines is due to join the Star Alliance later this year, along with the long-awaited inauguration of Air India into the alliance. For more information visit tamairlines.com.